Bandicut supports the hardware accelerated Intel Quick Sync h.264 encoder which allows you to cut, trim, crop, split videos in high speed with excellent quality. If you have a new Intel CPU (i3/5/7), you can cut videos faster than the H.264 Software Encoder. If you have a system equipped with Windows 7 or a later OS and a new Intel CPU (i3/5/7), you can use the embedded hardware acceleration function to cut and convert videos "in higher speed than H.264 Software Encoder". You need to enable the embedded graphic functionality of your CPU for the hardware acceleration. Please refer to the following. Activate the Intel Quick Sync Video by connecting a video cable to the monitor and restart Bandicut, then you can choose the Intel Quick Sync Video option. You can activate the Intel Quick Sync Video by adding the display device. 3. Select 'Extend these displays' from Multiple displays, and click [OK]. 4. Start Bandicut, and choose the "H.264 (Intel Quick Sync video)" option. - H.264 (Intel® Quick Sync video) is one of the most commonly used formats for the recording, compression, and distribution of high definition video. 1. "H.264 (Intel® Quick Sync video)" is available on Windows 7 or Windows 8. 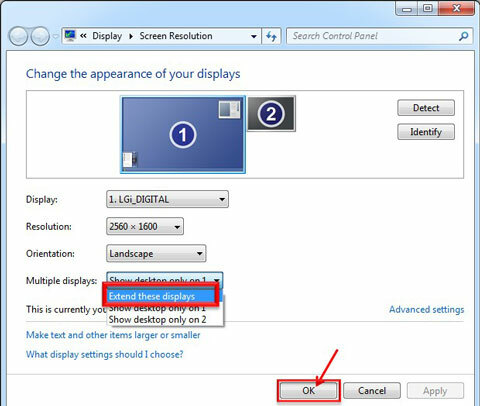 - If you use 'Windows XP' or 'Windows Vista', the "H.264 (Intel® Quick Sync video)" menu will not be shown. 2. Check whether your CPU model supports "Intel® Quick Sync video"
Most of 2nd~4th generation Intel® Core i3/i5/i7 processors support the Quick Sync video function. However, previous generation Intel® Core i3/i5/i7 processors and some 2nd~4th generation processors do not support the Quick Sync video function. - Go to https://downloadcenter.intel.com/default.aspx, download/install the latest "Intel® HD Graphics" driver. 4. 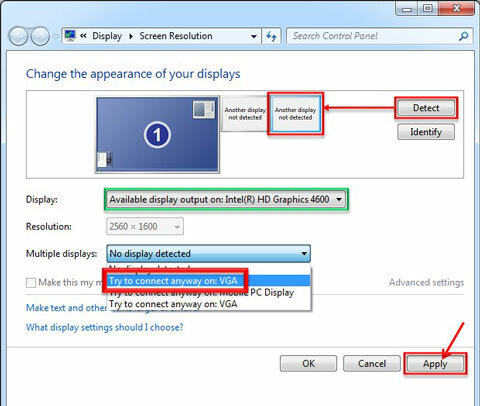 Enable "Internal Graphics" at the BIOS/CMOS settings. * "NVIDIA NVENC" and "AMD VCE" hardware acceleration will be available in the future. FAQ - H.264 encoder doesn't work!